You know what snoring is, right? Snoring is noisy breathing during sleep. If you snore, you may experience poor quality sleep. If you partner snores, your sleep may be constantly interrupted. Either way, someone suffers. You are at a greater risk of snoring if you are male or overweight, but snoring is common among all ages and both genders. While you sleep, the muscles of your throat relax, your tongue falls backward, and your throat becomes narrow and "floppy." When this happens, the walls of the throat vibrate with the airflow as you breathe. These vibrations lead to the characteristic sound of snoring. What About Obstructive Sleep Apnea? 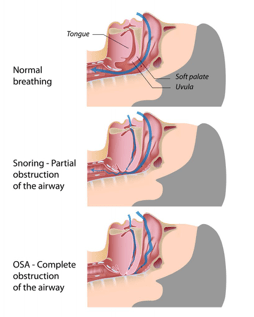 Obstructive Sleep Apnea (OSA) is defined as pauses (apneas) in breathing during sleep, due to blockage of the upper airway, and is accompanied by a drop in oxygen saturation. People with obstructive sleep apnea are often not aware of their breathing problem until a sleeping partner or family member informs them of their episodic symptoms and abnormal breathing pattern during sleep. Generally, OSA is a serious medical condition that over time may have multiple negative effects on a person’s body and overall health, well-being, and quality of life. OSA negatively affects the health of tens of thousands of Americans every year. What can I do about OSA? 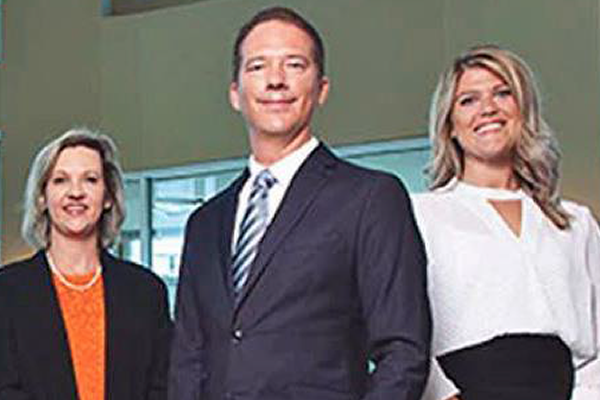 Treatments for obstructive sleep apnea vary and depend on your particular situation and the severity of your condition, so the place to start is with an Ear Nose & Throat doctor who specializes in diagnosing and treating sleep apnea, like Dr. Trimble. Behavior modifications - losing weight, adjusting sleeping positions, quitting smoking, avoiding alcohol and sedative use. Oral appliances - designed to hold your jaw slightly down and forward to improve breathing. Continuous positive airway pressure (CPAP) - often the first line of treatment for OSA. It uses a system to deliver a steady, pressure-controlled amount of air to keep your airway open while you sleep. Additional positive pressure delivery systems - variable positive airway pressure (VPAP), bilevel positive airway pressure (BiPAP) and automatic positive airway pressure (APAP). Surgical intervention – when CPAP and other methods of treatment prove unsuccessful to treat your OSA. Obstructive sleep apnea is a serious condition that requires medical attention as soon as possible. 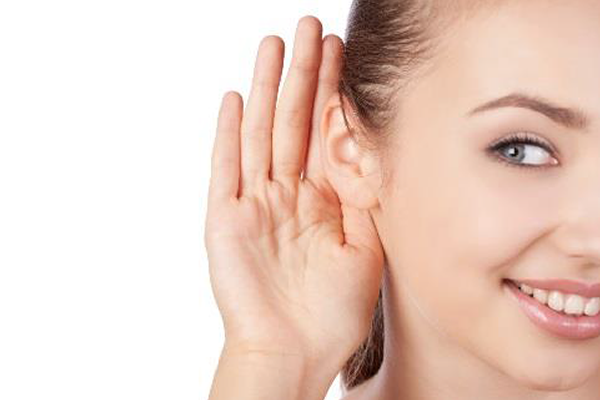 Proper diagnosis, treatment, and management of OSA by a qualified Ear Nose & Throat specialist like Dr. Trimble can minimize or help you avoid serious health consequences as well as improve your quality of sleep and overall well-being. "Great place. All of the staff are friendly and courteous. Dr. Trimble was great and takes the time to give you that little bit extra. He doesn't just run in look at you and run out. Glad that I found this office. Thank you everyone at Trimble ENT." - Jason H.
If you suspect you or a loved one suffers from snoring or OSA, call us today for an evaluation.